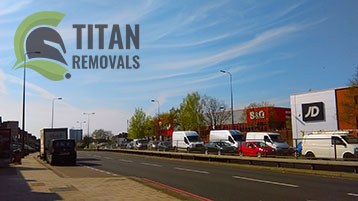 Titan Removals is one of the leading moving companies that operate on the territory of the London Borough of Redbridge. Our services cover all E, IG, RM postal districts in the borough completely, which means that when you are looking for a hassle free way to get your household, office or just a single piece of personal belongings relocated here, we are the best choice before. If you want to be spared from most of the stress and strain that are usually associated with home relocations, then we are indeed the right choice for you. Our movers are ready to work for you at any time of the day and night, and thanks to the very flexible schedule we maintain, there is no problem with even last minute booking. Commercial removals in Redbridge E, IG, RM is another thing we are fully licensed for. We will relocate your office with the due diligence, discretion and professionalism. We will pack every piece of sensitive equipment and expensive furniture using high quality packing supplies. Everything will be loaded on one of our clean, well maintain vans that provide comfort and safety throughout the duration of the office relocation in Redbridge. Our vehicles vary in size and type. What you can rest assured about is the fact that we will have a van or a removal truck that is perfectly suited to the requirements of your specific commercial relocation in Redbridge. Every single one of our vans and Lutons comes with GPS navigation and a rich assembly of safety gear, including clean moving blankets and ropes to secure your boxes while they are being transported. Naturally, all our moving services, including the office moving one, come with full liability insurance for additional peace of mind. Domestic and commercial clients alike come to us for our end of tenancy cleaning Redbridge alternatives. We will send the team exactly when they are needed. The job will be done in an impeccable manner that will ensure that your rented home or office space looks like it has never been used. You will be happy and the landlord is going to be happy to. You are guaranteed to get your rental deposit back, while at the same time you will not have to put any real effort into accomplishing that. We have been working in the field of end of lease cleaning for years now and we have never failed to live up to the expectations of our clients. All you have to do is contact our around the clock customer support. The booking process is rather hassle-free and you will be able to count on our assistance at every stage of the process. You can make a reservation either over the phone or via email. 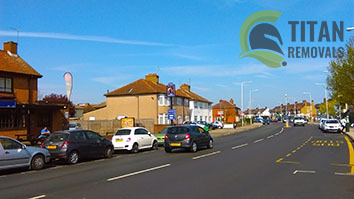 The London Borough of Redbridge is quite often referred to as the “leafy suburb”. The reason for that is that more than a quarter of the territory that bears this name is covered by forests and open green spaces of various sort. Located in north east London, Redbridge covers some 21.78 square miles and has an estimated population reaching 293 055. Some of the best known and most beautiful green spaces here include the Hainault Forest Country Park and the magnificent gardens surrounding the Valentines Mansion, a 17th century stately home and a major local attraction in its own right. There are as many as 13 libraries all across the borough such as Redbridge Central Library, Seven Kings Library, Woodford Green Library and many others. Ilford F.C. is an important football club hailing from the area. They play their home matches at Cricklefield Stadium. The area has tight connections to England’s music scene. The best way to illustrate that is to name just a number of the notable music personalities that live or have been born and raised here. Those include such names as Jessie J, who is currently is a big name in the R&B scene, Dev Hynes, a record producer and song-writer who has worked for s Solange Knowles, Sky Ferreira, FKA twigs, Florence and the Machine, Carly Rae Jepsen, Diana Vickers, The Chemical Brothers and Kylie Minogue among others, Keith Flint from The Prodigy, and quite many others. Other famous people connected to the area are science fiction magazine editor John Carnell, TV actor Scott Malsen and Formula 1 racecar driver Bill Whitehouse to name a few.